The McGrady Family Gym is a hub of activity at camp. 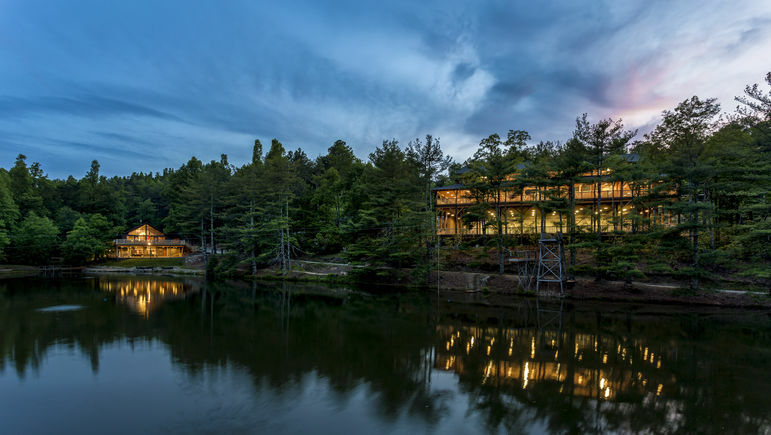 They gym took two years to complete, and Platt Architecture certainly captured the rustic style we desired. They were a pleasure to work with during the entire process. The upper level is an open air basketball court. It also acts as a stage that is being used for our theater program, talent shows, and the occasional morning assembly. The basketball court is terrific for daily instruction. It has a fireplace that is handy if we have to make a plan for rain during Sunday night Campfire program. The synthetic turf field adjacent to the gym is a big hit! Flag football and ultimate frisbee are just two of the sports that utilize the field, as well as numerous all-camp events and evening programs. The lower lever is an enclosed indoor soccer field with built-in goals. It has a turf field and has a wall of hockey glass that allows for natural light and spectators, while also providing maximum safety. The lower level of the gym is perfect for indoor soccer and epic dodge ball games! 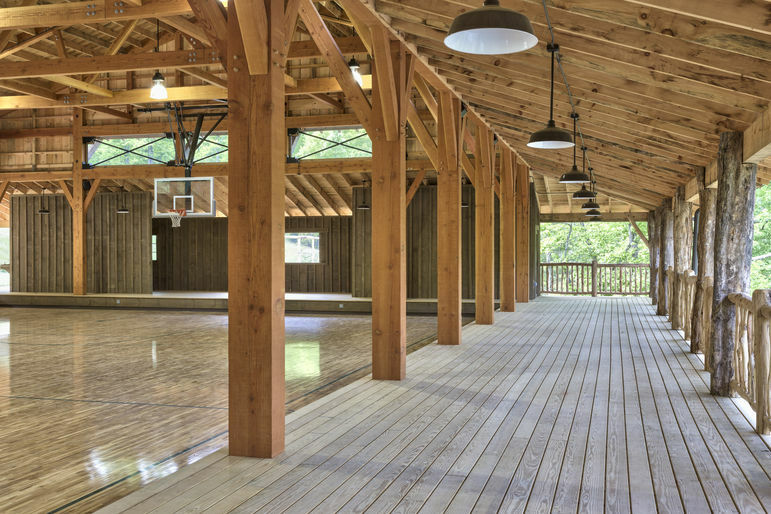 That is one amazing camp gym! Congratulations on its completion. Wow, when I was a counselor here in 2001 did the counselor "lair" exist where this terrific facility is now? If it was at all possible, and if you would have me back, I would jump at the chance to come back and work what was and will be the most fulfilling summer of my life. Great to see that FCC is growing from strength to strength.